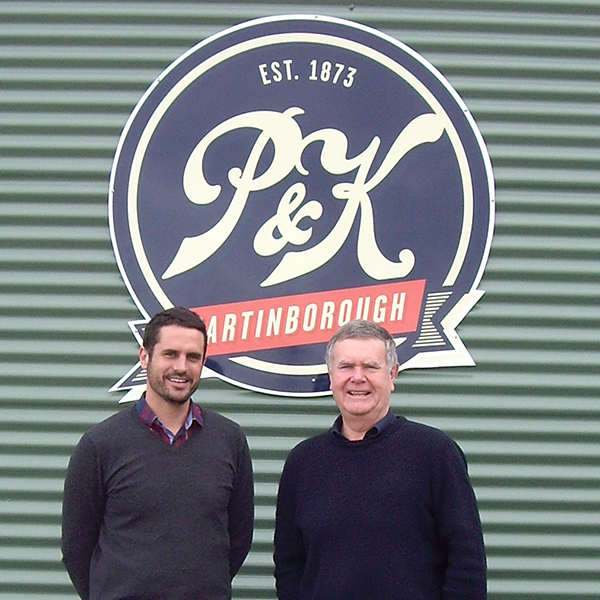 A Martinborough Landmark, P&K has been in business since nearly the start of time in Aotearoa. Pain and Kershaw in 1930. From left, Jack Yates, Charlie Gear, Bill Cochrane, Bill Holland. The ornate concrete frontage was sadly lost in an earthquake in 1942. The P&K General Store and Four Square on Jellicoe Street as they stand today. Conor Kershaw (current owner) and his Father David who was the third generation owner operator. ‘Twas 1873 when the tills rang for the first time. Back in those days Martinborough was nothing more than a cross roads. The founder was a Mr George Pain. At age 19 Mr Pain was hawking goods from a wheelbarrow that he had walked over the hill from Wellington. The wheelbarrow progressed to a horse and then a team of horses and a cart. His business of selling mostly clothes to the pioneers in the district grew to a point when it was time to set up a trading post shop on the cross roads. In the early 1900s Mr John Martin was forming the Martinborough township. Keeping his British heritage close to his heart he carved this new town up to resemble a Union Jack. Mr Pain purchased what he thought was the best site in the new town and the rest is history. 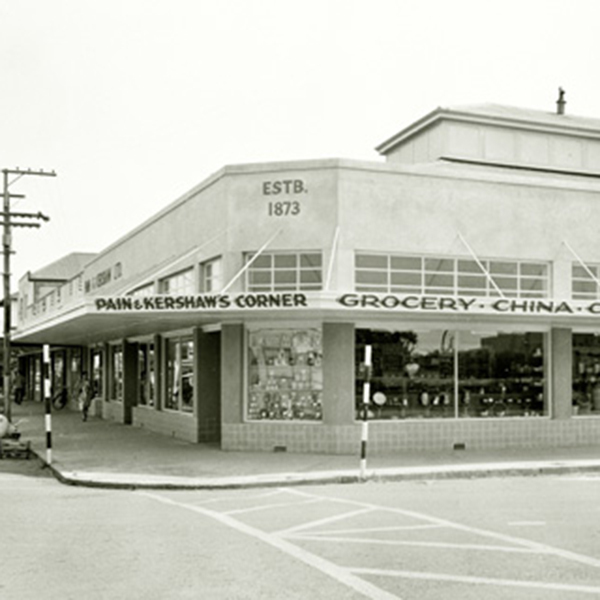 P & K Grocery still operates from this site today. In a time when quality counted, a store needed to reflect this, so a beautifully ornate building façade was erected that would rival any High St building in the country at the time. 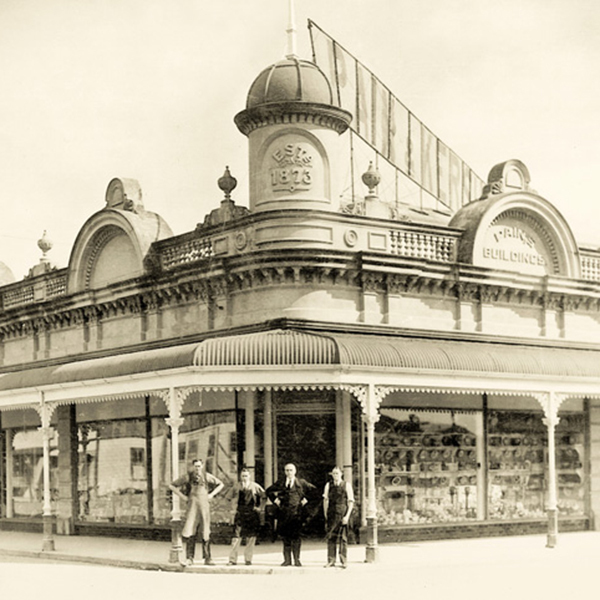 Under this one grand roof was a Grocery, Haberdashery, Men’s Wear, Women’s Wear, Hardware Store and Homewares specialising in the finest crystal in the land. Pain had two business partners along the way. 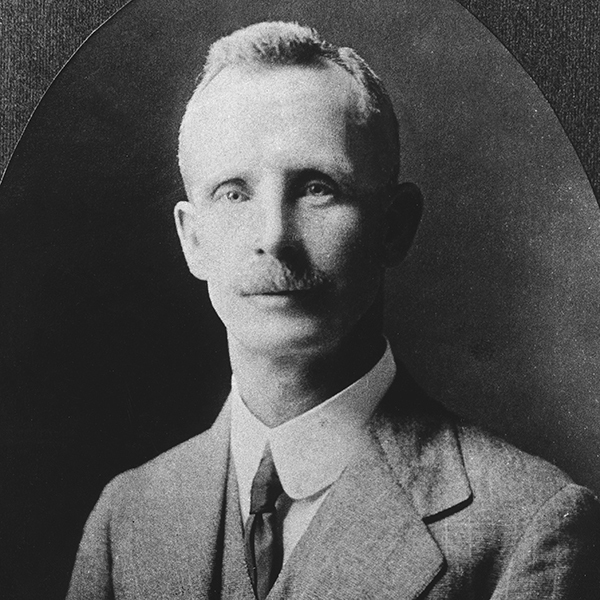 Mr Haycock was the first involved and they were later joined by Mr Kershaw. Mr Kershaw eventually bought out his two business partners around 1910. Part of the deal was that the name Pain remained in the name. Mr Kershaw was only too happy to do this as a sign of respect to the true pioneer who built the business from a wheelbarrow. 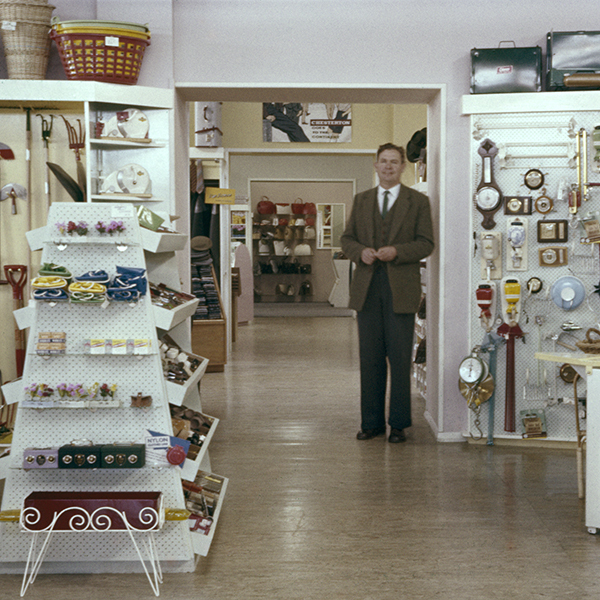 From then on it became known as P&K by our customers and it remains today. In the last century the business has been through a major fire, earthquake and a depression. The business has endured through tough times with the wonderful support of the local community that continues to this day. The Kershaw family are still holding the reins of one of the oldest retailing businesses in the country, currently owned and operated by 4th generation Conor Kershaw and his wife Philippa who live here in Martinborough with their three young girls. 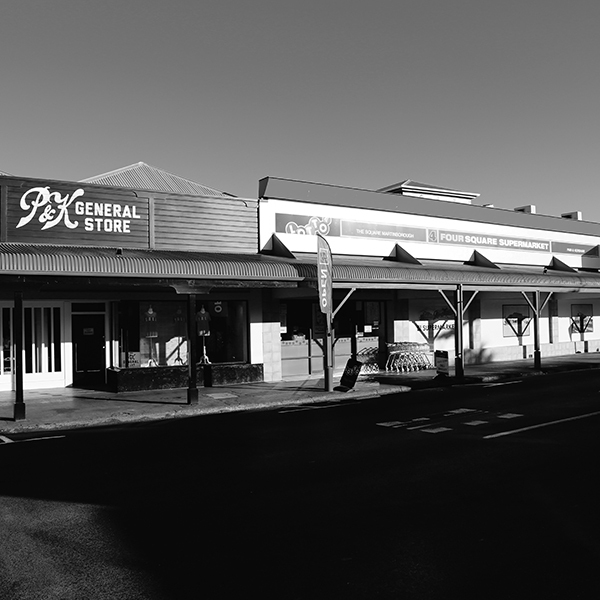 In the heart of the village lies P&K Martinborough, a landmark family business having supplied the local market since 1873. Groceries, local produce, wine, beer, deli, bakery, gifts, clothing, stationery, Mitre10 – P&K is your one stop shop in Martinborough village.